That is, trees have parentheses around them, and a number denoting the identifier of the root vertex, followed by arbitrarily many (maybe none) subtrees separated by a single space character. As an example, take a look at the tree in the figure below which is denoted in the first line of the sample input. 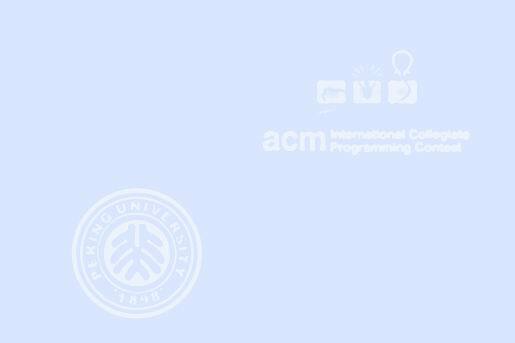 To generate further sample input, you may use your solution to Problem 2568. The input contains several test cases. Each test case specifies a tree as described above on one line of the input file. Input is terminated by EOF. You may assume that 1<=n<=50. 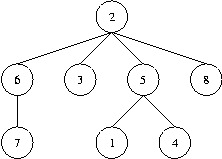 For each test case generate a single line containing the Prufer code of the specified tree. Separate numbers by a single space. Do not print any spaces at the end of the line.